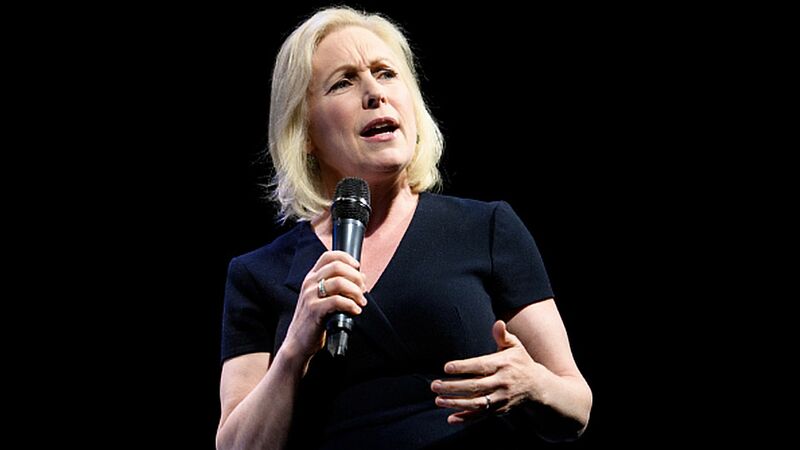 Democratic presidential hopeful Sen. Kirsten Gillibrand (D-N.Y.) at a CNN town hall Tuesday defended changing her stance on immigration and gun control from her previously held conservative views. What she's saying: "For people who aspire to be president," she told the crowd. "I think it’s really important that you’re able to admit when you’re wrong and that you’re able to grow and learn and listen and be better, and be stronger." The backdrop: As a member of the U.S. House representing an upstate New York district, Gillibrand opposed "amnesty for illegal immigrants," voted to increase Immigration and Customs Enforcement funding and backed calls for English to be the official U.S. language. Gillibrand once kept 2 guns under her bed. "If I want to protect my family, if I want to have a weapon in the home, that should be my right," she said in 2009. The big picture: At the town hall, Gillibrand defended her immigration record during questioning from the audience as she built on comments she made earlier this year in which she described her previously held views as "wrong." She said she was always for comprehensive immigration reform and felt "ashamed" she didn't lead on the issue. Gillibrand said she's better equipped to talk to gun owners about the need for gun control because she once held an A-rating with the National Rifle Association.